APJ Abdul Kalam Thoughts, Quotes and words on Dreams, Education, Success for Students in Hindi and English - Dr Kalam was one of the greatest personalities ever , his work , thoughts and inspiration will be us forever. In this post we have collected quotes of this legend on dreams, education and success. These quotes and thoughts are in Hindi as well as in English languages. Dr Kalam is called missile man , the prominent defense scientist of India and former president of India. APJ Kalam was a great leader and scholar , his thoughts are real inspiration for all especially for students. We have collected some of the great words of this legend in this post. These APJ abdul kalam quotes for students / APJ abdul kalam thoughts for students / APJ abdul kalam words for students have energy to ignite the young mind. The great man is not with us but his inspirational words makes us feel his presence everyday. APJ Abdul Kalam Thoughts, Quotes and words for Students in English are collected by us from various sources for our readers. You can not Change your FUTURE, but you can change your HABITS. And Surely your HABITS will change your FUTURE. If you salute your Duty, You no need to Salute Anybody, But if you pollute your duty, you have to salute everybody. IF you want to SHINE Like a SUN First burn like a SUN. I am not a Handsome guy, but I can give my hand-to-some one who needs help. LIFE and TIME are the world’s best Teachers. Life teaches us to make good use of TIME and TIME teaches us the value of LIFE. The essence of a happy life and a peaceful society lies in one sentence – What can I Give? Missale had all the qualities to become Immortal. He is not with us physically but his speeches and inspirational words keep him with us. APJ Abdul Kalam Thoughts, Quotes and words for Students in Hindi are here. एक खुशहाल जीवन और एक शांतिपूर्ण समाज का सार एक वाक्य में निहित है - मैं क्या दे सकता हूं? APJ Abdul Kalam Quotes on Dreams / APJ Abdul Kalam Thoughts on Dreams /APJ Abdul Kalam Words on Dreams will give you and me inspiration to move ahead in life. Best APJ Abdul Kalam Quotes on Dreams in English language. The whole universe is friendly to us and conspires only to give the best to those who dream and work. Dreams transforms into thoughts and thoughts results in action. Dream, Dream, Dream, Dream transform into thoughts and thoughts result in action. You were born with wings. Don’t Crawl. Learn to use them to fly and fly. Go after Dreams, Not after People. Goal-setting, positive thinking, visualizing, and believing. 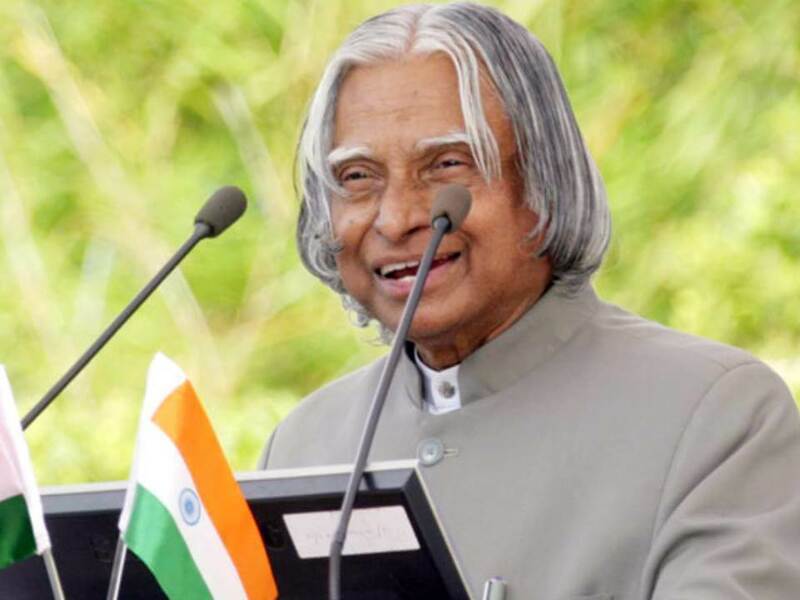 Best APJ Abdul Kalam Quotes on Dreams in Hindi language. The misssile man achieved sky high success in his life. Fortunately we have his words with us to achieve success in our life. These APJ Abdul Kalam Quotes on Success / APJ Abdul Kalam Thoughts on Success /APJ Abdul Kalam Words on Success will give you and me inspiration to move ahead and achieve success in life. 25 Best APJ Abdul Kalam Quotes on Success in English language. Do not sit quit after your first success as many people are ready to say that your first success by just a fortune. Man needs difficulties because to enjoy the success that they need to. To reach the summit requires strength, whether it is the peak of Mount Everest or your profession. Thinking is the capital, an enterprise is a way, and hard work is the solution. Knowledge with action converts adversity into prosperity. To succeed in life and achieve results, you must understand and master three mighty forces – desire, belief, and expectation. When we tackle obstacles, we find hidden reserves of courage and resilience we did not know we had. All Birds find shelter during a rain. But Eagle avoids rain by flying above the Clouds. Problems are common,but attitude makes the difference. Best APJ Abdul Kalam Quotes on Success in Hindi language. Dr Kalam loves to read a lot. Even on the day of his death he was teaching in Shilong. He was a great teacher. These APJ Abdul Kalam Quotes on Education / APJ Abdul Kalam Thoughts on Education /APJ Abdul Kalam Quotes on Education are assets for everyone. Best APJ Abdul Kalam Quotes on Success in English language. Every new book, based on some new idea inspires me and gives me a new thought to ponder. Primary education is where teachers can bring creativity in children. Thanks for visiting our blog DigitalSafalta , please share this post APJ Abdul Kalam Thoughts, Quotes and Words on Dreams Education Success for Students in Hindi and English.